This section features several birthday poems that were written for brothers. So if you have a wonderful brother in your life, share one of these verses with him on his birthday. The first one, turned out to be a very simple and sentimental one. It basically talks about the relationship you may have with your brother, while wishing him all the best. I think the very first line in the first stanza, summarizes it very well. It mentions that, "you're not just my brother,". Meaning, that the bond is much more deeper and goes beyond genetics or simple family ties. I'm assuming that you share a close relationship with your brother (if you plan on giving him the first poem). my heart needs to say. you knew how to care. for all of those years. that I'd like to convey. with your warm friendly style. all the gifts you receive. and I love you a lot! It shouldn't matter whether you're a guy or a girl, anyone should be able to share that poem with his or her brother. The last stanza is the simplest and most powerful in my mind. I think it's really important for all of us to express our true wishes and feelings for our brothers on their birthdays. It's that one day of the year when we must speak from our hearts and also let our actions speak for themselves as well. What I'm trying to say is that there are plenty of thoughtful things we can do for our brother on his birthday. It doesn't have to involve a lot of money, but it needs to be something that he loves to do. Whatever that may be. For example, I have a brother-in-law that has a passion for cars and loves going go carting. So that's something I need to keep in mind for his next birthday. The first two verses were more on the sentimental side. 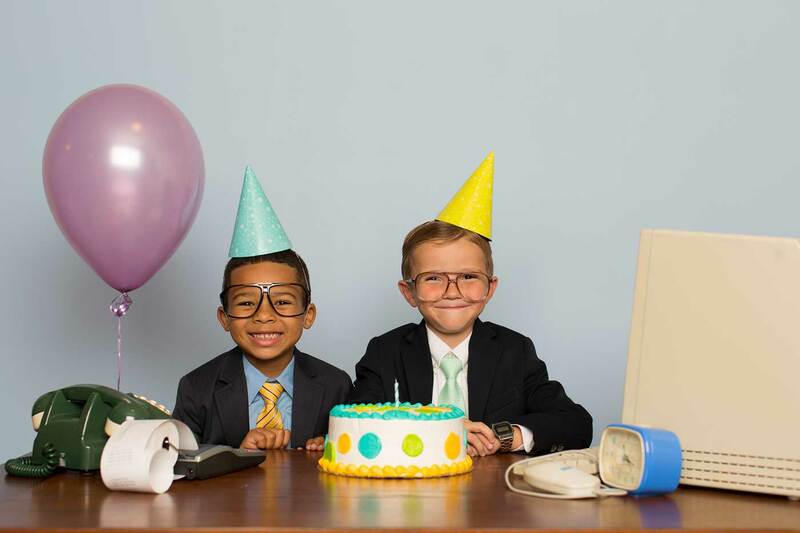 Let's switch things up a little bit and write a funny birthday poem that you may share with your brother. there's no need to remind. was not easy to find. but it's not totally trash. so I was a bit short on cash. Am I dragging this poem? You must be real curious. I'm sure you'll be furious. Now that would be a fun trick to play on your brother. Simply wrap an empty box with birthday wrapping paper and share it with him. Oh, and don't forget to sign the box. You may also want to include the poem inside the box or inside a greeting card. Your choice. The next birthday poem is meant to be shared by a sister with her brother. Maybe I'll forward it to my sister so that she may send it to me on my birthday (lol). with a smile so wide. his path and his page. and so does our fate. through my heart I shall send. I think it would be really nice if a sister shared the above verse with her brother. No matter how macho he may seem, I'm sure he'd like it. Are you looking for a specific birthday poem for your younger or little brother? If that's the case, then you're in luck. The next one is meant to be shared with a little brother. Whether your little brother is turning 5, 15, or 50, I hope he likes it. I hope that you feel. come true and be real. my life has been blessed. and begin a new quest. in my heart they reside. in the passage of time. and I hope that it shows. and I know that it's real. That was the last one in this section. Now feel free to share any one of these birthday poems with your brother on his birthday. The goal is to put a big smile on his face, and I know you can do it. Best of luck!